Make the most of your wedding event by creating lasting memories with the friends and family that mean the most to you! 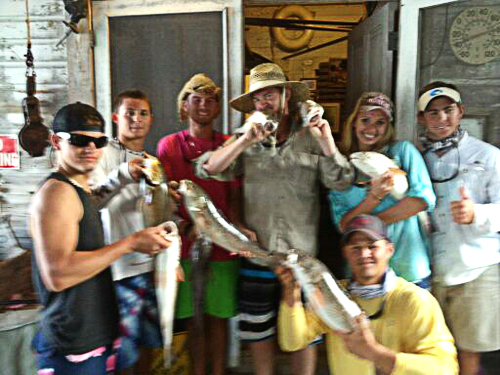 Gulf Coast Charter Brokers offers fishing trips catered to your bridal party. All licenses, bait, and tackle are provided. Fishing experience is not necessary. We work with both professional and novice level anglers. We welcome you to boat with us and look forward to creating fantastic memories you’ll never forget! Lady Elizabeth is an authentic replica of a 1931 Minett-Shields 22′ built in 2001 by Williams Boatworks. Brigadoon is a San Juan 38 picnic yacht capable of handling up to 6 passengers in style. With 40′ overall length and 12′ beam. 27' Chris Craft Triple reproduction "Patriot"
*Rates for our Classic Boat Chaters differ from our Fishing Charters. Please call for availability and rates. Thank you.